Austin Texas Real Estate and Probate Lawyer Jason Coomer works with families including Texas families and out of state families to protect family wealth, inheritance, real estate, and people. He handles uncontested probate matters, real estate transfers, trust issues, estate matters, contested probate matters, guardianships, trust litigation, inheritance issues, clearing title to property, real estate deeds, heirship issues, and other real estate and probate issues. For information on Texas Real Estate Probate matters, please feel free to send an e-mail message to Austin Texas Real Estate and Probate Lawyer Jason S. Coomer or feel free to use our contact form. 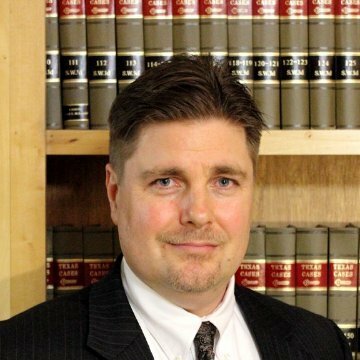 As an Austin Texas Probate Lawyer and Austin Texas Inheritance Lawyer, Jason Coomer works with families to handle a variety of Texas Will Probate, Heirship, and Inheritance issues. Some of the most common probate issues include working with families to probate Wills; to prove rightful heirs to inheritance; to obtain appointments for executors, representatives, and administrators; to represent executors, representatives, and administrators; to contest Wills; to file lawsuits to determine rightful heirs of property and estates; and to clear title to estate property. For more information on Texas Probate and Inheritance Matters, please feel free to go to the following web page: Austin Texas Probate Lawyer and Austin Texas Inheritance Lawyer. As an Austin Texas Real Estate Lawyer, Jason Coomer works with landowners, heirs, beneficiaries, executors, administrators, and real estate purchasers to clear title to real property and resolve other real estate issues. Some of the most common Texas real estate issues include working with families to probate Wills; to prove rightful heirs to inheritance; to obtain appointments for executors, representatives, and administrators; to represent executors, representatives, and administrators; to contest Wills; to file lawsuits to determine rightful heirs of property and estates; clearing title to estate property; handling, filing Small Estate Affidavits, filing Affidavits of Heirship. 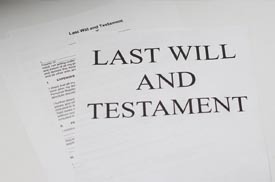 For more information on Texas Probate and Inheritance, please feel free to go to the following web page: Austin Texas Real Estate Lawyer and Texas Real Estate Lawyer. Austin Texas Guardianship Lawyer, Jason Coomer works with families and friends that have lost someone through incompetence. He helps people understand Texas guardianship law including working with the Texas courts. For more information on Texas Guardianship Law, please feel free to go to the following web page: Austin Texas Guardianship Lawyer and Austin Texas Guardian Lawyer. As an Austin Texas will contest lawyer Jason S. Coomer handles Texas will contest lawsuits, where someone is contesting an invalid will or where someone needs to defend a will. For more information on Texas Will Contest Law, please go to the following web page: Austin Texas Will Contest Lawyer. Trusts can be very complicated legal documents that can create disputes and litigation between trustees and trust beneficiaries. In working with both trustees and trust beneficiaries, Austin Texas Trust Litigation Lawyer, handles trust litigation lawsuits where trust fraud, trust revocation, trust payouts, and other trust issues are being disputed. For more information on Texas Trust Litigation, please go to the following web page: Austin Texas Trust Litigation Lawyer. Austin Texas Probate Lawyer, Jason Coomer works with families and friends that have lost someone through death or incompetence and need help with a variety of probate, real estate, guardianship, will contest, trust, and other legal matters. He handles this matters in Travis County Probate Court, Travis County District Courts, Travis County Courts, Bastrop County Court, Fayette County Court, Williamson County Court #4, Bexar County Probate Courts, Hays County Court, and several other court throughout Central Texas. For information on Texas Real Estate Probate matters, please feel free to send an e-mail message to Austin Texas Real Estate and Probate Lawyer Jason S. Coomeror feel free to use our contact form.